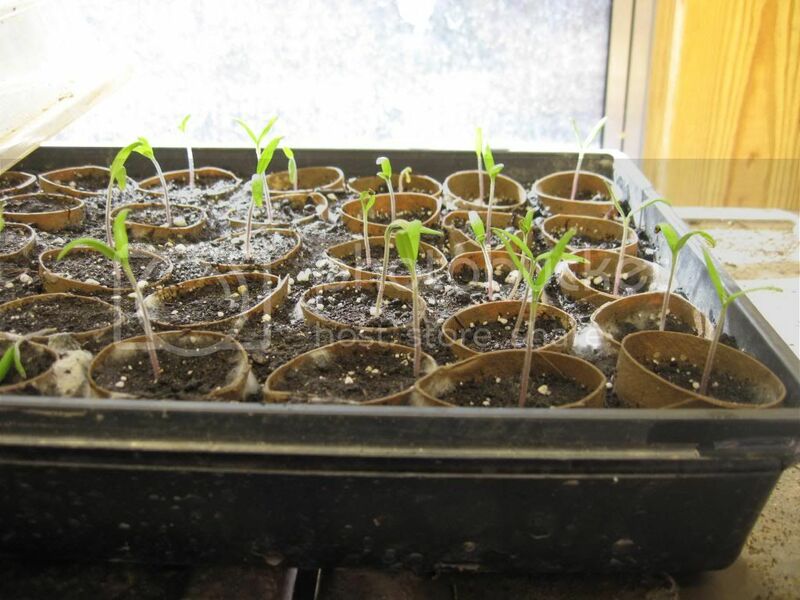 Couple of weeks ago I planted my first tomato seed for the 2013 season. Some Better Boy and Florida 7514, along with some peppers and egg plants since they take so long to grow. 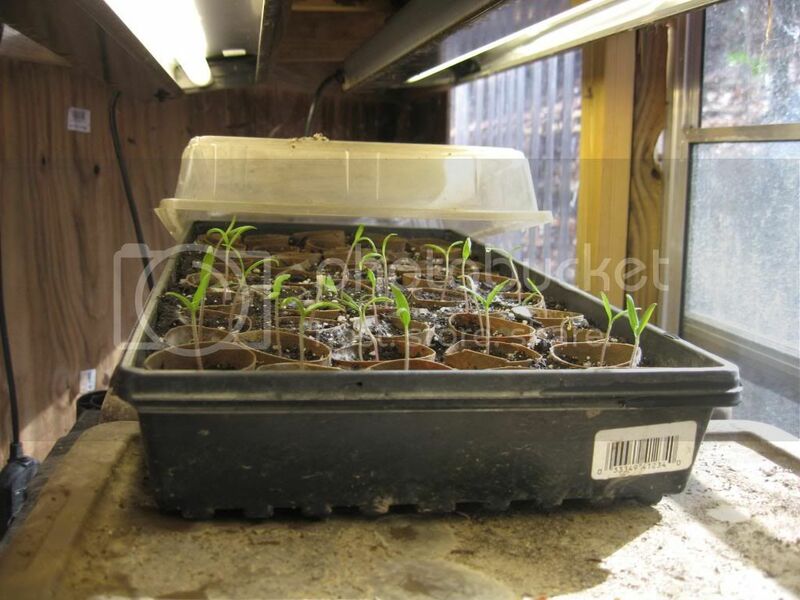 The little tomato seedlings popped right out under the lights in the greenhouse, and were looking good when I left last Sunday. I am now in Ft. Collins, CO. The starts are in AL. I hope it is not as cold there as it is here. Pictures to come after I return home. YAY!!! The 2013 season begins. I am 6 weeks or so away from starting tomato seeds. My seed starting area has been my Christmas basket factory. The baskets are all done now and the last one will get given away tonight. So it is time to clean it all up and get the space ready for seeds! I will likely start the first seeds within a couple weeks. A couple of pictures. I had the plastic cover on them while gone to maintain some heat in case the temps dropped. The peppers and egg plant are yet to show. Looking good!! Now, when you Southerners start posting pictures of your tomato plants, is when I have to start biting my fingers and saying: " I will not plant tomato seeds before Valentine's Day, I will not plant tomato seeds before Valentine's Day, I ..."
Actually from experience I am probably better off waiting another week or so after Valentine's Day. But I will get something under my lights pretty soon! Got the Christmas gift basket factory all cleared away and cleaned up and got the space all ready to be seed starting area again. Oh absolutely! Grew up and went to college in SoCal. Even though I have now lived more years out here in winter country than I did in California, I still am a California girl at heart and still think about moving back sometime. 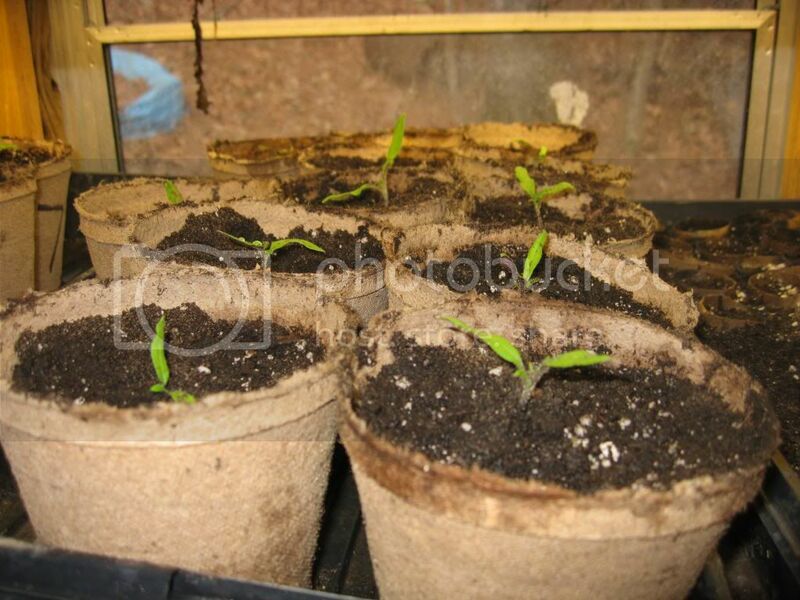 Stage Two As the plants put on their second set of leaves I transfer to five inch peat pots. Also, I started the second batch in grow flats. Last edited by lakngulf on Mon Mar 11, 2013 6:29 am, edited 1 time in total. I'm with Rainbow, about a month before tomatoes. 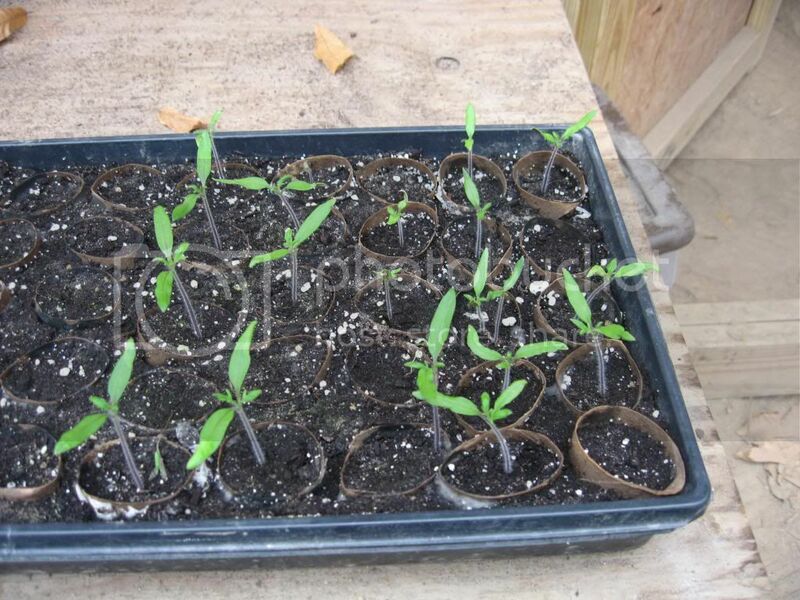 I am tempted to start tomatoes and peppers soon. I was shooting for an in-ground date about mid-April. But even if I got them in the outside sooner they would not die. I have one tomato plant that has been outdoors all Fall/Winter and is doing fine. Although, it is not growing very slow, if at all. Are you sure about the mid-April plan? Tomatoes seem to grow fine at daytime temps of 70's and overnight lows in the 50's and they set fruit well. Outside in the direct sunlight, the official measured-in-the-shade temp of 70's could easiy translate to up in the 90's. So keep that in mind. 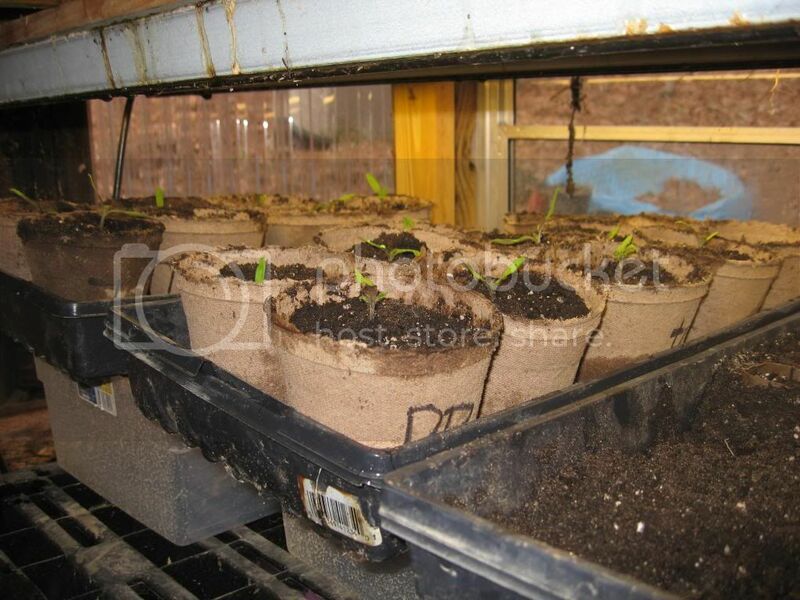 Those seedlings look like they're off to a great start! I'm still at the "sorting the seeds and trying to decide which ones I can grow" phase of tomato garden planning. With webmaster announcing the tomato seeds giveaway, and expecting some more tomato seeds from another source sometime next week , I'm going to have a really tough time deciding the starting line-up. I'm with applestar.... mid-April-ish, depending on weather is when I aim to have tomatoes in the ground, because it is our average last frost date. And in fact in these days of shorter winters, the actual last frost is usually before that. 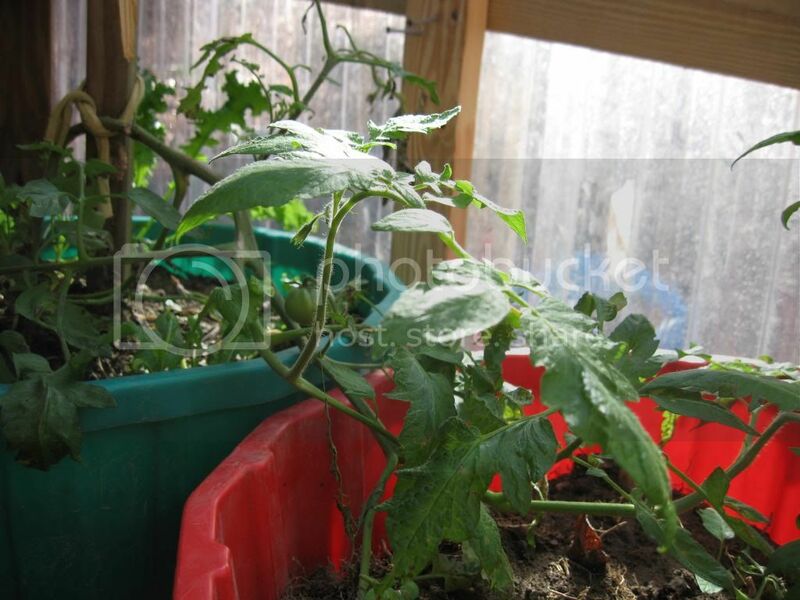 Tomatoes are actually fairly cold tolerant if well hardened off and as long as they don't freeze. I like to get them in early. My theory is that even though the plant is not growing real fast at that point, it is establishing roots. Then as soon as any warmer weather comes, it is ready to take off. Not everyone believes me, but I usually have ripe tomatoes before anyone else around here. You could put them in earlier. I'm with the 2 above me here. I am mid April first of May. I like to get some in early. I plant a lot so they go in waves. So I almost have to start early in order to get them all in. I also will have the first ripe fruit on the block. The last as well. So far with our mild winter, I'm picking tomatoes every few days from the plants I put in back in mid September. They are slower to ripen in the cooler weather but as long as we don't get a freeze, they'll eventually get there. I have about 12 tomato plants that are 5 ft. tall and much healthier than the summer plants with the disease and pest problems. Sunscald on my Tomato starts...treatment suggestions? Any hope for these suffering starts?